In 1954 the sole importer of Porsche cars into the USA was a guy named Max Hoffman, who managed to convince Porsche to offer a low option version of the 356 roadster with a cut down windshield and a thirst for speed. 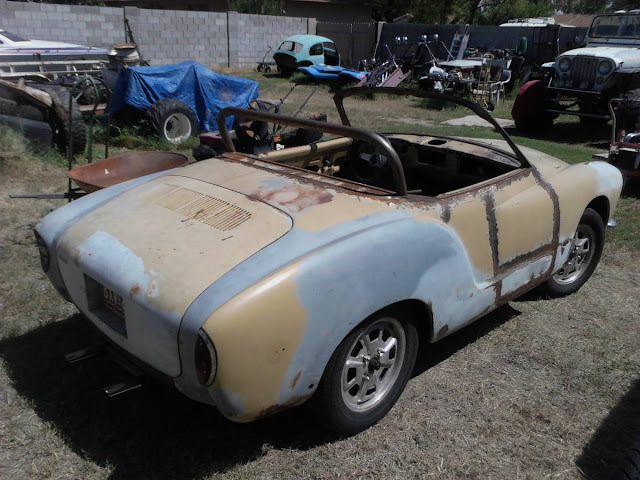 Years later and a 356 Speedster is worth more than small village near Salzburg, but you can still get Speedster style if you are willing to drive something from the wild side. 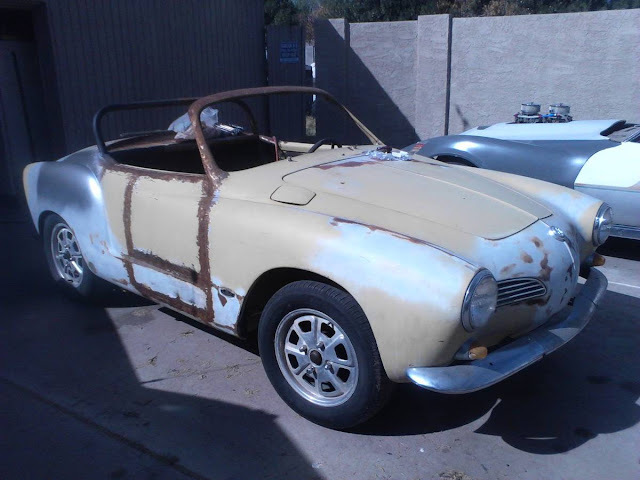 Like this 1969 Volkswagen Karmann Ghia offered for $2,500 in Phoenix, AZ. Tip from FuelTruck. Hope you've got the mobility of Bo & Luke Duke, because this General Fritz has welded doors...which were probably a by-product of pulling a full 14 inches out of the wheelbase. With a "BRANDE NEW 1600 SINGLE PORT" engine out back, this thing could be driven as an ugly rat rod while you save for paint/body.